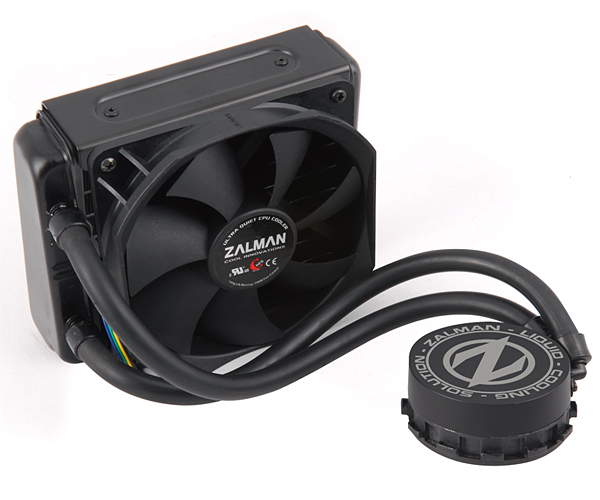 Built-in ultra quiet/ high efficient water block, minimized tube connection help coolant to rotate fast and stable. ent water block, minimized tube connection help coolant to rotate fast and stable. High cooling performance with pure copper water block and inner pure copper micro fins through efficient heat transfer. Compatible with not only Intel newest socket LGA2011 but also supports LGA 1155/1156/1366, AMD sockets FM2/FM1/AM3+/AM3/AM2+/AM2, and most of the desktop CPU and APU sockets. High durability tube applied to ensure safety no leaks after long term use. Ultra quiet 120mm fan and aluminum radiator used to minimize noise and maximize the cooling performance. Install extra fans according to user's needs. Optimize the cooling effect with dual fan. Eco friendly glycol based coolant with corrosion inhibitor added to prevent metal corrosion.